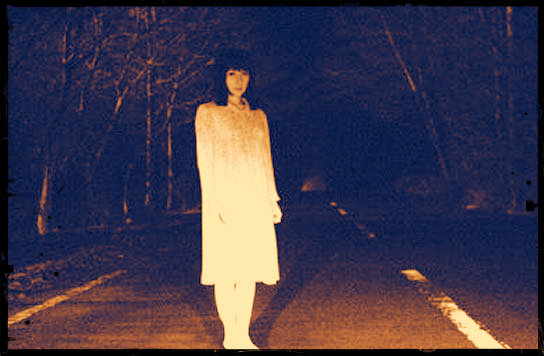 The Woman in White is a ghostly apparition who most commonly haunts roadways and thoroughfares, seeking the attention of travelers. She is a tortured spirit who has often in life been betrayed by a lover, has lost her children, or both. Dames Blanche in France, White Ladies in the Philippines, Mulheres de Branco in Brazil, Weisse Frauen in Germany, and Witte Wieven in the Netherlands are all varieties of Women in White, as is Mexico’s La Llorona (the Weeping Woman). As with most ghosts, Women in White are usually only seen near the locations where they died. Though some Women in White haunt homes, such as Malta’s White Lady of Verdala Palace, they most frequently appear along the sides of roads as hitchhikers. The White Lady of Beeford (East Yorkshire, England) is one such spectre, as are The US’s White Woman of Acra (NY), the Lady in White of Mukilteo (WA), the Silk Lady of Madisonville (LA), the White Witch of Niles Canyon (Fremont, CA), and The Woman in White of Hattiesburg (MI). A Woman in White, or sometimes a Weeping Woman. It’s a ghost story … it’s really more of a phenomenon, really. They’re spirits. They’ve been sighted for hundreds of years. dozens of places—in Hawaii, Mexico, and lately in Arizona, Indiana. All these are different women, you understand, but all share the same story. See, when they were alive, their husbands were unfaithful to them. And these women, basically suffering from temporary insanity, murdered their children. Then once they realized what they had done, they took their own lives. So now their spirits are cursed, walking back roads, waterways, and if they find an unfaithful man they kill him and that man is never seen again. Women in White are among the most commonly encountered ghosts, yet each one is bound to her own locale and has her own tragic story. Some are suicide brides, some have lost (or, like La Llorona, killed) their children and forever search for them, and others, like the Lady in White of Bachelor’s Grove (Chicago), carry spectral infants in their arms. Most have had harm done to them by a man, usually a lover or husband, in the form of brutality, betrayal, or both. In the United States, Women in White are frequently associated with crybaby bridges of local lore, where the sound of wailing infants and small children can sometimes be heard at night. But more often they wander alone along roadways, seeking the attention of other solitary travelers. As ghostly apparitions, most Women in White are not particularly powerful creatures, but their appearance (or sudden disappearance) can be intensely frightening—they do their most harm by being the cause of road accidents. The ghost of Kayako Saeki in The Grudge 3. The Grudge: The ghost of Kayako Saeki, the main antagonist in the supernatural horror franchise The Grudge and Ju-On, the basis for several novels, comics and films, is a Woman in White. She and her son were both murdered by her jealous husband. He broke her neck and crushed her throat, resulting in the croaky voice and crunching bone sounds her ghost makes. As she is onryō, a vengeful spirit of Japanese lore, Kayako is able to affect and harm the living who enter her home or the area nearby. The ghost of a black cat, the family pet also killed by her husband, often appears as an omen to warn people of Kayako’s imminent ghastly arrival. La Llorona with kidnapped children in Grimm S02E09. Grimm: La Llorona appears in the eponymous 9th episode of Season 2. She is among those Women in White who has lost her children, and who, on every Halloween night, will kidnap living children in a confused effort to replace them. Unfortunately this plan involves drowning the captured kids in a river once she collects a full set of three. 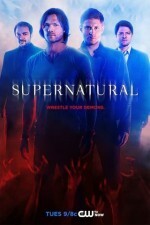 Supernatural: The excellent pilot episode of Supernatural features the ghost of Constance Welch, a Woman in White who haunts the roads of the town of Jericho and preys on unfaithful men. 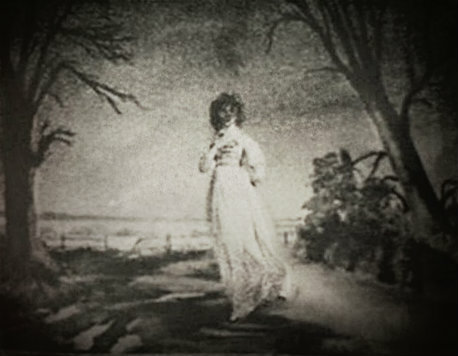 In the classic fashion of La Llorona, Constance Welch was first cheated on by her husband, then killed herself after her children drowned in the bathtub. Her ghost seeks both vengeance against straying men and forgiveness from her dead children, saying “I can never go home.” She tries to seduce and murder Sam, but he manages to drive the Impala straight into her old abandoned house—thereby making her “go home”—where she is dragged away by the spirits of her children, whom she herself, in fact, drowned. Though The Women in White of television and film are much more dangerous than those of urban legend, they are still best avoided. But if you find yourself yourself alone in your car with a White Lady, be kind—though not too kind—and she will probably vanish on her own, as she cannot stray far. Just try to not be so startled or frightened that you run off the road, into a tree or over a bridge. And don’t ask her about her family. Doesn’t hurt that it’s always been one of my favorite beasties, either. XD Great post.